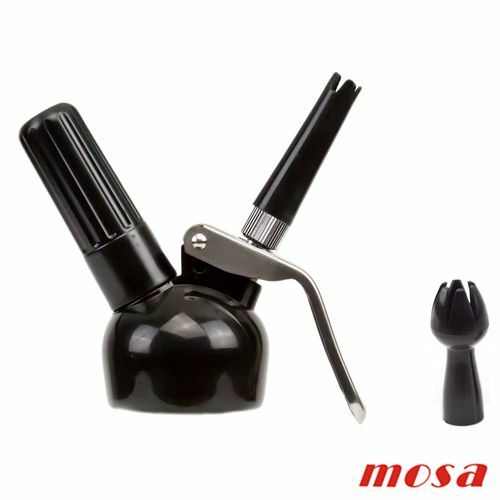 This prduct is a MOSA Plastic Head (Black). This product is made from black plastic. It also features a silicone head gasket with high resistance to extreme temperatures. It comes with a plastic charger holder and decorator set.